Mally lives in a private area in the centre of the Lost Gardens of Heligan where she has a large studio in which she paints as well as teaches on a regular basis. Having lived here for 20 years she has seen Heligan through all seasons and so she knows the wild flowers and trees of the outer estate very well, together with the flowers and shrubs of the Northern gardens. In the early days Tim Smit asked her to provide all the botanical illustrations for Heligan Wild, a Year of Nature in the Lost Gardens (now out of print). These paintings became the subject of a solo exhibition at the Tradescant Garden Museum in Lambeth, London. Subsequently she was asked to illustrate Heligan Days, a Perpetual Diary (still available in the Heligan shop). 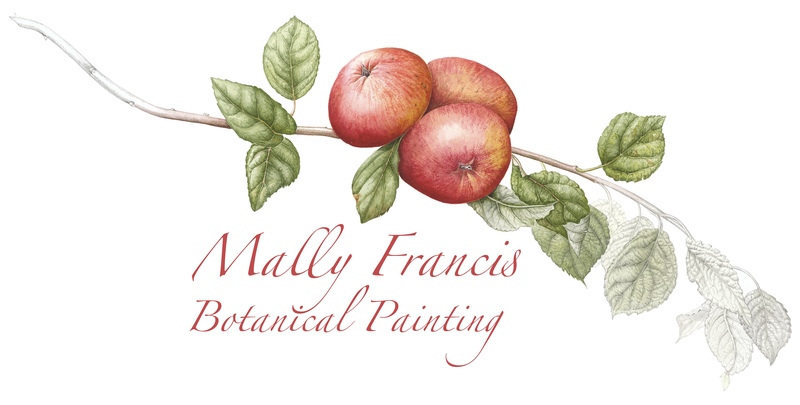 All Mally’s pictures are painted with artists’ watercolours on good quality paper and the giclée prints are made with fade-resistant, archival inks on archival paper. Mally is a Fellow of the Chelsea Physic Garden Florilegium Society and she formed a similar Society for the Eden Project in 2000 for which she was elected as a Fellow of the Linnaean Society in 2012. Mally had the good fortune to be taught her skills in the late 1980s by Anne-Marie Evans FLS and she still follows her principles. Away from her studio she also tutors botanical art at the Eden Project, the Bath Society, the South West Society, Stourhead, Ventnor on the Isle of Wight, Truro Arts, Boconnoc House and Trengwainton Gardens in Cornwall. She tutors artists ranging from complete beginners through to advanced levels and two have been awarded Gold Medals in recent years by the RHS. She is particularly proud of being the sole tutor of Laura Silburn who has achieved three Gold Medals, Best in Show and Best Botanical Painting at the RHS Botanical Art Shows in London in 2013, 2014 and 2018. Mally is also a Fellow of the Eden Project Florilegium Society and she provided the inspiration and instruction in her Saw-pit Studio at Heligan for two thirds of the artists whose work has been accepted into the Eden archives, some 90 paintings in total as can be seen in the EPFS book A Coming of Age. 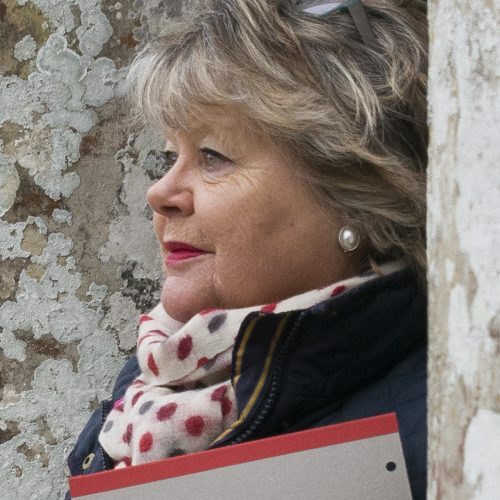 Mally has organised a number of exhibitions in Cornwall for her art groups, the most recent commemorated the Heligan gardeners who died in the First World War by showing the flowers, vegetables and animal life with which they would have been familiar. She has also had her own work shown nationally and internationally. Most recently her painting of Babington’s Leek (Allium ampeloprasum var.babingtonii) was used by the Association of British Botanical Artists as the poster image for the Worldwide Botanical Art Day in the Peter Scott Gallery at Lancaster University. The original was also displayed at the RHS Show in London where it was purchased by Dr Shirley Sherwood for her Collection. Click here for details of Mally’s regular weekly and short residential painting or drawing courses.